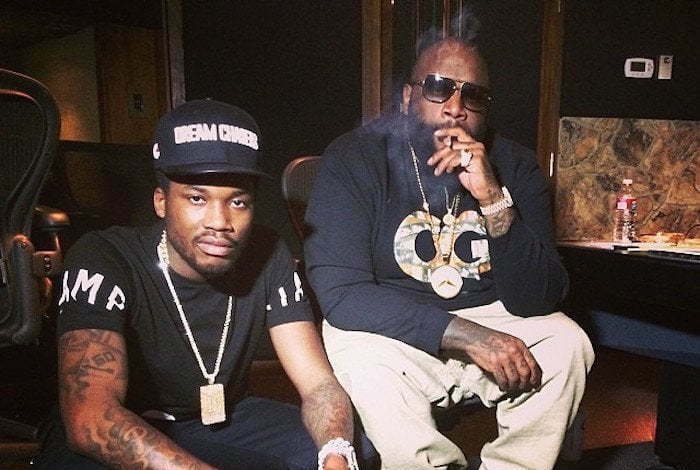 Rick Ross and his protege Meek Mill were involved in a massive nightclub brawl in New York City over the All-Star weekend. The Maybach Music group chief was hosting a party at Liberty Theatre in NYC. TMZ reported that Meek mill was in the same section as Ricky Rozay when someone threw a bottle. A fight erupt and Meek Mill was seen throwing a few punches. Ross didn’t get physical but his bodyguards were there to calm tensions. The fight was reportedly over gang turf but no one got physically hurt. Dion Waiters and a few other celebrities were at the party.